Laura Mirjami is a Finnish born designer maker, but she has been living and working in the UK for nearly 20 years. She draws a lot of her inspiration from her childhood in Finland and the whole of Scandinavia; she loves the clean Nordic lines and seemingly simple forms. Like the great Danish designer Kay Bojensen once said: “lines need to smile” as he was creating wooden toys that he wanted to be round, soft and have a good feel to them and that is what Laura is hoping to achieve with her work. Her designs don’t even have arms and legs which she likes to think invites you to use your imagination more and that must only be a good thing. 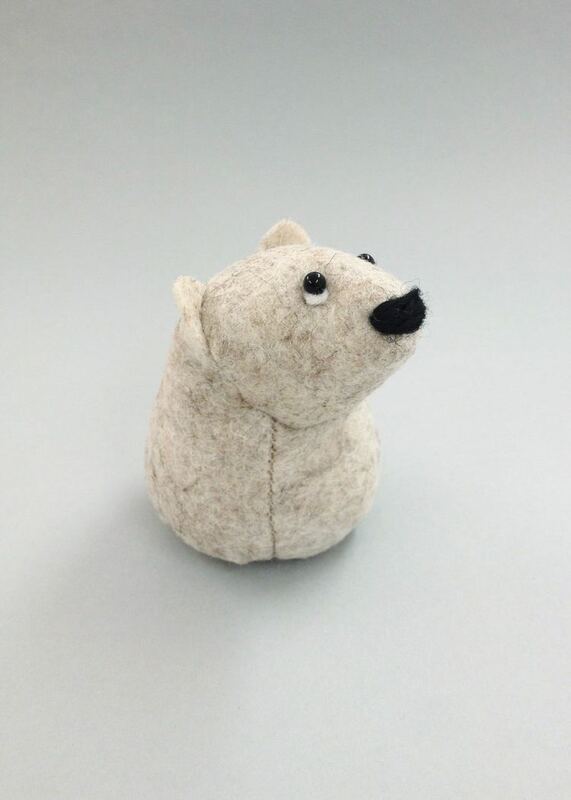 The animal characters themselves are all designed and handmade by Laura and she uses mainly 100% wool felt which takes her right back to Finland where felt always played a big part in her childhood from slippers to home decorations.